Key features: this book includes detailed description of language signs of domestic horses, with a special emphasis on calming signals includes 275 pictures to visualize various language signs, calming signals, behaviour sequences and facial features presents communication ladders to show how a horse responds to incentives in his environment, and what signals he uses at certain moments contains tips on the use of the communication ladders and calming signals to improve the socialisation, training and wellbeing of your horse considers equine psychological stress from an environmental perspective, providing a valuable alternative to the current common clinical perspective. 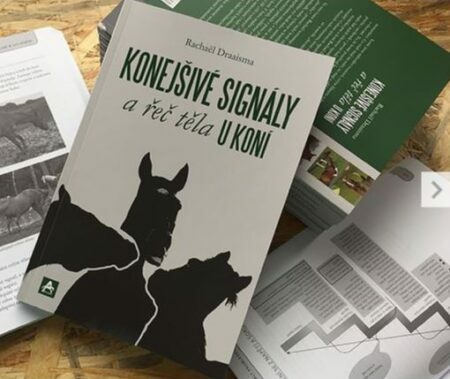 This practical book helps you interpret and connect the physical signals that horses display in response to their environment. These signals are evident in the everyday actions, gestures and attitudes that horses communicate to each other, but are often so subtle that they can go unnoticed by humans. This book aims to rectify that, offering horse lovers and equine professionals an opportunity to gain a unique insight into their ‘horse’s world’. After reading this book you will be more astute in spotting calming signals, displacement activities, stress signals and distance-increasing signals, and better able to see which stimuli your horse can handle and which he cannot. This means you will know what to do to calm your horse before his stress rises to an unmanageable level. 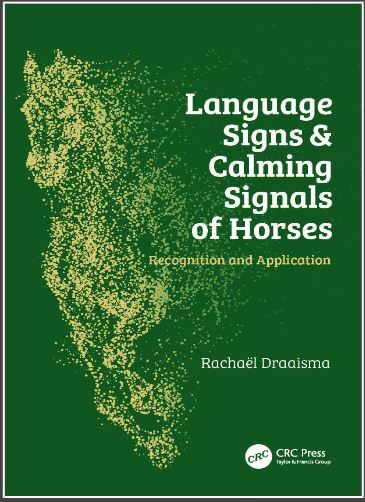 Language Signs and Calming Signals of Horses is both fascinating and important reading for any equine veterinary practitioner, student or nurse, as well as horse owners and trainers. Mijn boek is te bestellen in verschillende webwinkels in Nederland. Je kunt deze ook direct bestellen bij de uitgever. Zij hebben wereldwijd vijf opslaghuizen en zorgen dat mijn boek na bestelling binnen veertien dagen op je deurmat ligt. Mocht je dat willen, klik dan hier. Mijn boek is vertaal in het Tjechisch en gepubliceerd door uitgeverij Arcaro in 2018. ( ISBN: 978-80-907127-3-7 ). Binnen een aantal weken haalde het de eerste prijs in de top-10 van meest verkochte paardenboeken. Als je mijn boek in het Tjechisch wilt lezen, dan kun je deze hier bestellen via de website van Arcaro.